The security system sensors that work best for business alarm systems are usually the same sensors that are used with security systems in a residential location. The alarm systems that are used to monitor business are typically the same systems that would be used in any location. Some alarm systems and sensors are specifically designed for commercial settings. They might be better suited for a larger property and offer additional features. But they really operate in the same manner as residential sensors. A good way to think about this is that "residential" and "commercial" are just marketing terms that manufacturers use to promote their products. 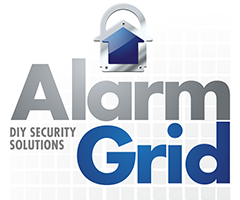 There's nothing stopping a business from using a "residential" sensor with their alarm system. And there's no reason a homeowner can't use a "commercial" sensor. When shopping for an alarm system for a business, a user will need to either choose a wired system or a wireless system. A wireless system will generally be easier to install and use on a daily basis. Some great wireless systems include the Honeywell Lyric Controller, the Qolsys IQ Panel 2 and the 2GIG GC3. But some business owners may want to use a commercial hardwired system so that they can have multiple partitions. Some great options to choose for this purpose are the Honeywell VISTA 128BPT and 250BPT Alarm Systems. Regardless of which system is used, the business owner will need to obtain sensors that are compatible with their system. Wireless systems can use wireless sensors, but a hardwired system will need a wireless receiver to use wireless sensors. Likewise, a hardwired system can readily use hardwired sensors, but a wireless system will typically need a compatible wired to wireless converter to do this. But whether a user wants to use wired or wireless sensors, most businesses will require the same types of security system sensors. Checking the system compatibility of sensors is very important. For businesses, there are some basic sensor types that should be used. First, a business owner may want some glass break sensors. These sensors will actively listen for the sound of breaking glass, and they will send an alert to the system if they detect this type of sound. This is very important for businesses that keep their products in protective glass casings or that have large glass storefronts. Most businesses should also have some motion detecting sensors. These are important for detecting any motion that may be present if an intruder breaks into the store after hours. Finally, some door and window contacts should be used. These will let the system know whenever a door for the establishment has been opened.